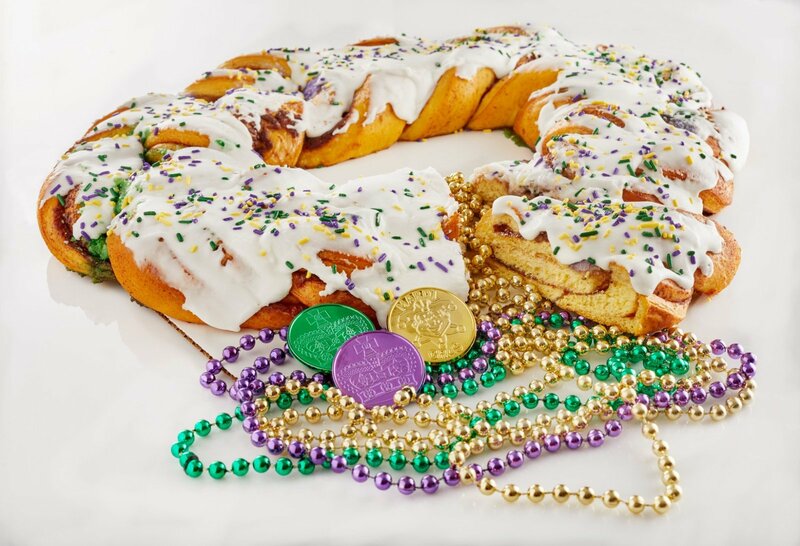 Traditional cinnamon-infused king cake, hand-braided and baked to perfection. Covered with our famous white, creamy "Randazzo" icing with purple, green & gold sprinkles. Of course, it's not a king cake without KC Baby, (the little plastic baby) inside! This King Cake is 20-24 2-inch slices, weighs 2lbs and measures 12in by 16in. Price includes Cake, Cup, Beads, Doubloons, History of Mardi Gras, and Overnight Shipping.